Looking for a cocktail pairing to go with Sunday’s Insecure finale? Courvoisier has your back. They crafted a couple of cocktails for the cast to enjoy while screening the show. I happen to have a totally ultra-sectret superspy exclusive on these leaked recipes! Okay, maybe I am slightly overstating that, but here are three “Hella Tasty” options if you’re feeling Cognac. Directions: Build in an old fashioned glass, add ice and stir. Garnish with an orange peel. Directions: Pour ingredients into a mixing glass, stir and strain into a coupe glass. Garnish with an expressed lemon swath. 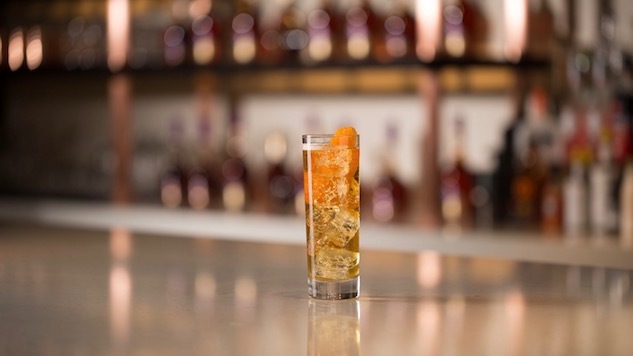 Directions: Pour cognac in a glass, add ice and top with champagne. Garnish with an orange swath.